The aim of the study is to determine the efficacy of indigenous soil fungi in removing (PAHs) from creosote-contaminated soil with a view to developing a bioremediation strategy for creosote-contaminated soil. Five fungal isolates, Cladosporium, Fusarium, Penicillium, Aspergillus and Pleurotus, were separatelyinoculated onto sterile barley grains and incubated in the dark. Thecolonized barley was inoculated onto creosote-contaminated (250 000 mg kg−1) soil in 18 duplicate treatments and incubated at 25 °C forseventy days. The soil was amended with nutrient supplements to give a C:N:Pratio of 25:5:1 and tilled weekly. 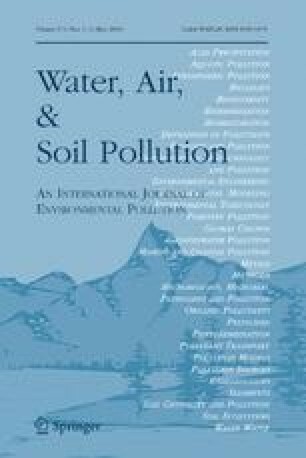 Creosote removal was higher (between 78and 94%) in nutrient supplemented treatments than in the un-supplementedones (between 65 and 88%). A mixed population of fungi was more effective(94.1% in the nutrient amended treatment) in creosote removal than singlepopulations wit a maximum of 88%. Barley supported better fungal growthand PAH removal. Pleurotus sp. removed the creosote more than the other isolates. Two andthree-ring PAHs were more susceptible to removal than the 4- and 5-ringPAHs, which continued to remain in small amounts to the end of thetreatment. Reduction of creosote in the present study was higher than wasobserved in an earlier experiment using a consortium of microorganisms, mainly bacteria, on the same contaminated soil (Atagana, 2003).